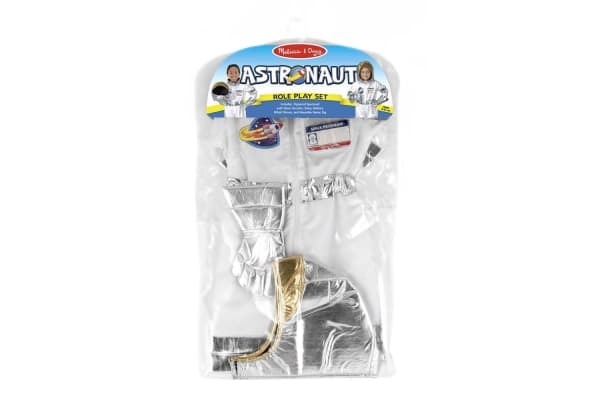 Melissa and Doug have been making fun and educational toys for over 25 years and role play costumes would have to fit that ideal better than most. 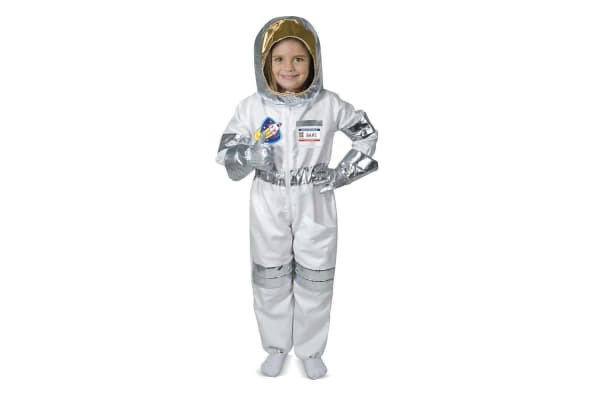 Children love playing dress up’s and it would be a tight contest as to which is more popular, The fireman suit, The Police outfit or the Melissa and Doug Astronaut suit. Every young child loves space and dreams about the day they will get a chance to blast into outer space, now they can use ther imaginations and strap themselves in for a space shuttle launch, or take a moon walk or take a space walk on the International Space Station. Whichever way they go your child will be creating the story, starring in the performance and cleaning up the mess afterward. 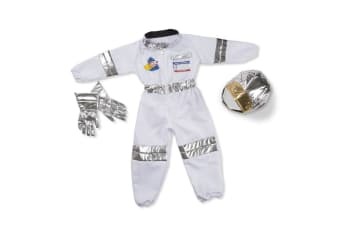 OK Maybe the last one is a stretch but they will have an intergalactic level of fun in the Melissa and Doug Astronaut dress up costume. Includes a jumpsuit, Silver Gloves and a shiny helmet together with a reusable name tag to identify them to any aliens they may meet. Genuine Melissa and Doug quality. Jumpsuit and gloves are machine washable. This is a great toy that will test your childs imagination and role playing whilst they have a great time.